For the next step in my Dior summer essentials workout, I’ve moved on from the body and focusing firmly on the face! 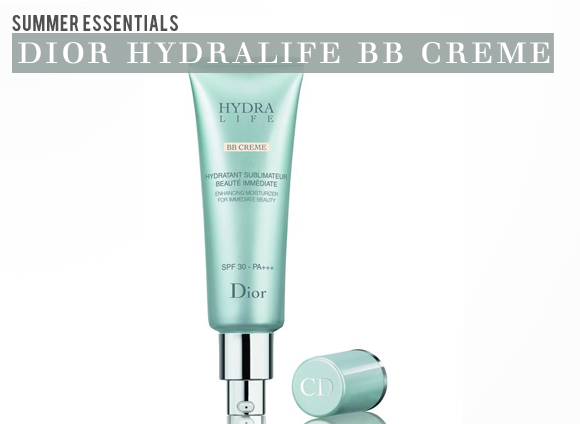 I’ve been trialling the brand new Dior Hydralife BB Creme SPF30, an all-in-one wonder that leaves skin smoothed, hydrated, plumped, evened and brightened with a touch of colour. It protects the skin with a high SPF of 30, while new-generation correcting pigments with their subtly tinted texture instantly blur imperfections and reduce surface irregularities. This makes skin look incredibly healthy and glowing, like you’ve had your full 8 hours of sleep/drank lots of water/gone for a jog – three things that I am pretty unfamiliar with. 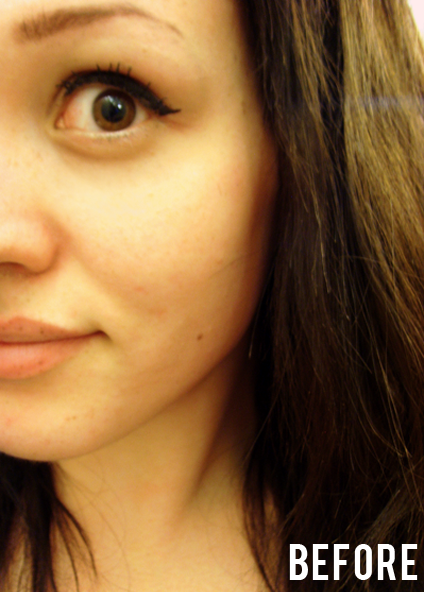 Before you see the before and after pictures, I’ll give you a little bit of insight into my skin. I have a typical combination skin type: dry cheeks, forehead and eye area, and the rest of my complexion gets a little bit oily during the day. My skin concern is dehydrated (the result of late nights and a lack of water!) and this gives me some minor dehydration lines and dark circles. As you can see from the before and after pictures, the BB Crème really warms up my skintone and diminishes the little imperfections around my cheeks and chin area. 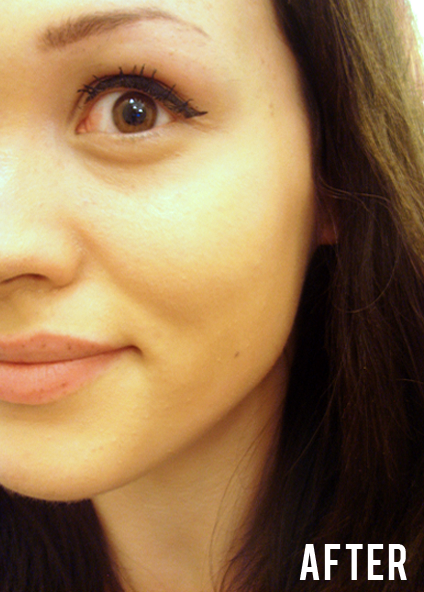 It doesn’t completely mask my natural tone (note the little beauty spot on my cheek), yet the slight redness around my nose is reduced and my skin tone is evened out. I’ve had compliments on how glowy and healthy my skin is – something that’s never happened before! I purchased this because I've tried some of the cheaper BB cremes that have come out over the months but haven't been impressed with any. 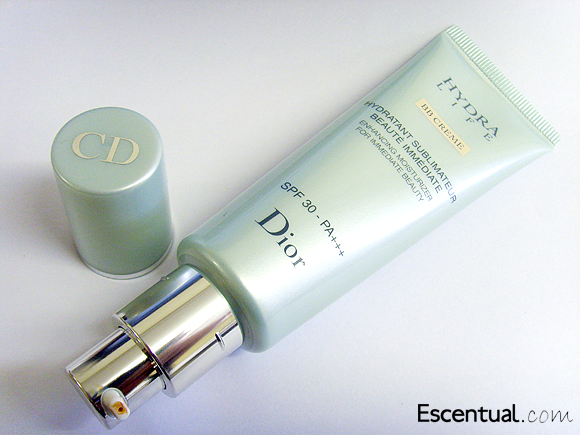 I am a big Dior fan so when this launched, I knew I'd buy it. First off, the price is quite expensive, however you do get 50ml of product and need very little with each application so it will last a long time even with regular use. Secondly, it has a pump top so it's hygienic and easy to dispense the product without making a mess. I use one pump with each use and find this is enough for my whole face. It's also easy to travel with. Thirdly, there is only one colour choice so either it works for you or it doesn't. I would say the colour is suitable for light-medium skintones, not fair or not dark, which is unfortunate.for those in that spectrum. The tone is neutral in my opinion, rather than yellow or pink. 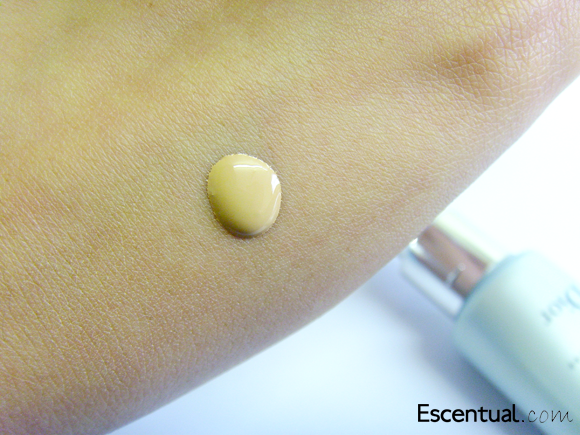 Fourthly, the coverage is like a medium coverage foundation which is surprising for how little you need. The best bit is how natural it looks while giving that kind of coverage. Lastly, having a high SPF30 PA+++ is fantastic as it allows you to use one less product on the face and feel secure knowing you've got a good level of sun protection. Overall, I would recommend this product but be sure to test it out in the store to make sure the colour suits you as it is expensive. This entry was posted on Thursday, August 23rd, 2012 at 9:00 am and is filed under Make-up, Skincare, Swatches, Tried & Tested. You can follow any responses to this entry through the RSS 2.0 feed. You can skip to the end and leave a response. Pinging is currently not allowed.